Hello Ming! We have really been enjoying Mara, could you give a little synopsis of the story? Yeah! 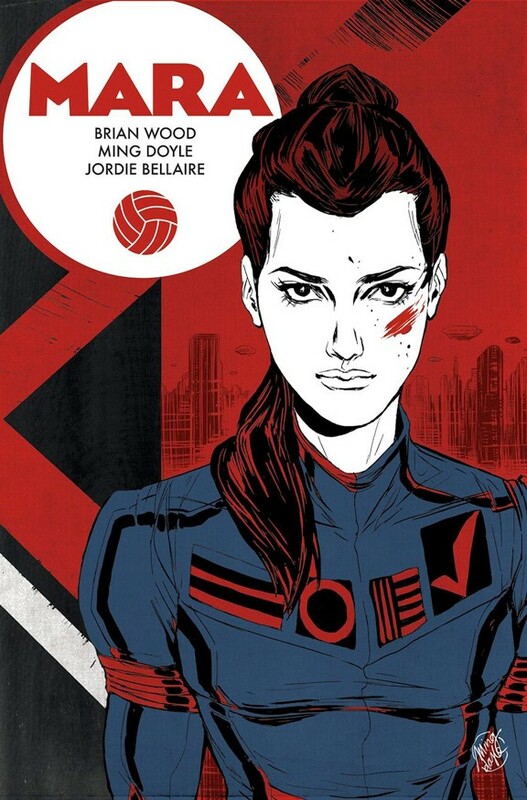 Mara takes place in this futuristic society and highlights our main character, a female volleyball player named Mara. Mara is the best player on the team and praised by millions and at the start, her only worry is endorsement deals. However, Mara quickly finds out that she has powers and is basically, a superhero. She then has to deal with the backlash of what people think of her and how to cope with the fact that people are now afraid of her. What was it like to work with Brian Wood? It was a real honor working with Brian. It has been an absolute joy since day one, and I hope we can work together again on a future project. Mara has been a blast. Potential for an ongoing series? Unfortunately, six issues is going to be it for Mara. It has been a really great experience for me, but the story will conclude as a mini-series. I have some other projects that I can now lend some focus to and am really excited to be working on.